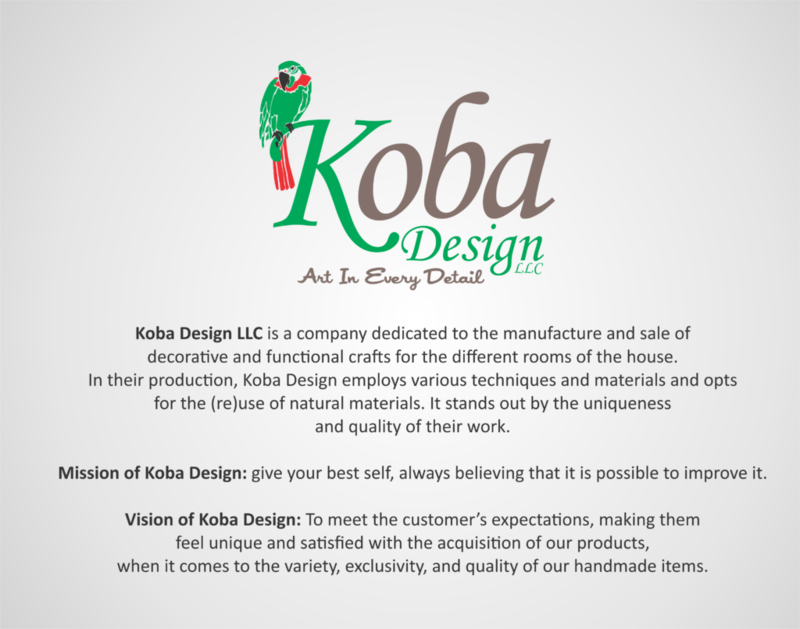 Mission of Koba Design: give your best self, always believing that it is possible to improve it. Vision of Koba Design: To meet the customer’s expectations, making them feel unique and satisfied with the acquisition of our products, when it comes to the variety, exclusivity, and quality of our handmade items. 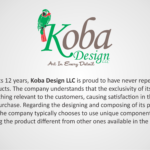 Company history: Koba Design LLC was born in March 2012, in the city of Nova Petrópolis, Brazil, reopening its doors in Janesville, WI in 2018. Since 2012, it has only two employees in the creation and manufacture of its products, Maura Pereira Konzen and Lauro Felipe Konzen. Much of the raw material used comes from the natural environment. 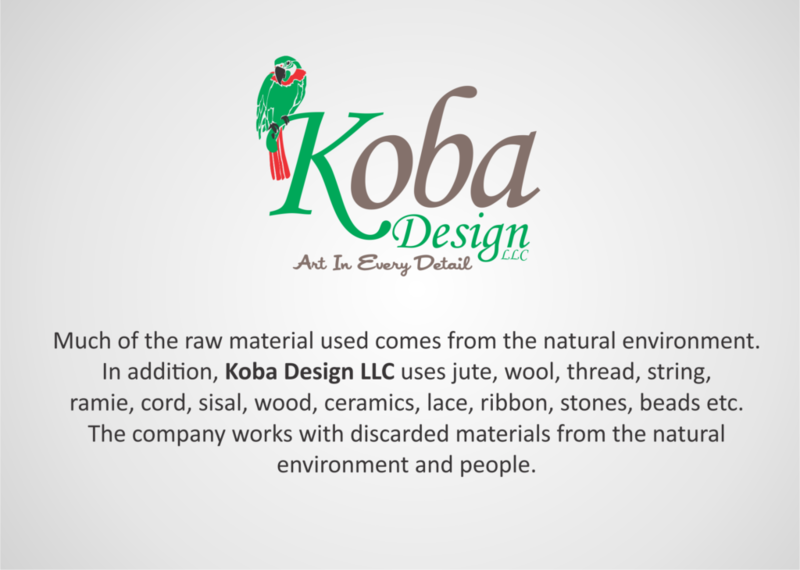 In addition, Koba Design LLC uses jute, wool, thread, string, ramie, cord, sisal, wood, ceramics, lace, ribbon, stones, beads etc. The company works with discarded materials from the natural environment and people. 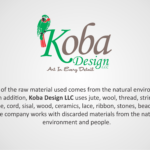 Tailoring process: Koba Design LLC believes in the potential of the discarded elements and then transforms its raw material into decorative and functional crafts. Workplace: Part of the company works in the basement where the couple resides in Fort Atkinson, WI, location where they design the wood pieces. The textile products are produced in the store. Techniques used: Koba Design LLC uses different techniques in the making of its pieces. The exclusivity is due to the painting of the wood and vitrification items from natural elements, usually leaves and flowers. In the textile process, several techniques are used such as crochet, knitting, netting, macramé, free embroidery and application, nail and pedal loom, felt flowers, crochet, fuxico, etc. 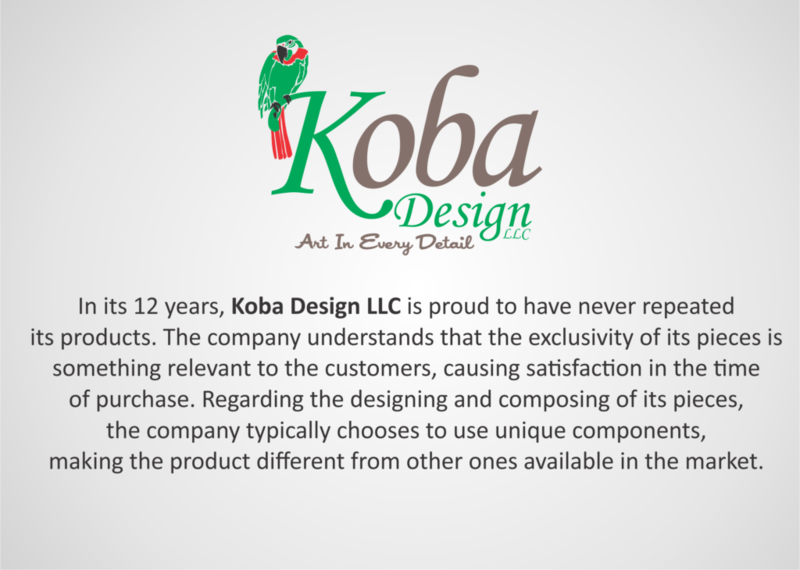 Exclusivity of pieces: in its 12 years, Koba Design LLC is proud to have never repeated its products. The company understands that the exclusivity of its pieces is something relevant to the customers, causing satisfaction in the time of purchase. Regarding the designing and composing of its pieces, the company typically chooses to use unique components, making the product different from other ones available in the market. Products offered: handcrafted textile, handcrafted furniture, handmade wood products, customed and tailored wooden wall panels, restored and custom-made pieces. 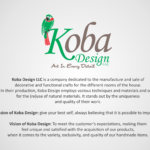 To give a few examples, Koba Design offers cushions and ottoman covers; rails, towels and blankets; apron sets, thermal gloves and plate holders; backrests and chair linings, American games; carpets, curtains and bedspreads; ornaments, and various arrangements, coffee tables, hat and coat racks, dressers, furniture, benches, trays, cachepôs, multipurpose boxes, object holders, clocks, pictures, suplás, among others. Time of execution of the parts: the time of accomplishment of the piece is relative, because it depends on the level of complexity of each product. As our items are 100% handmade, some of our pieces have already taken more than 200 hours of work. Change of name: the old Brazilian company was called “Koba Ateliê” and, by linguistic and cultural imposition, had its name changed to “Koba Design”.